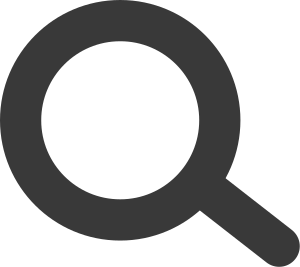 Valuing plastics for their material qualities and reuse possibilities allows a culture of overproduction and easy disposability to be questioned. 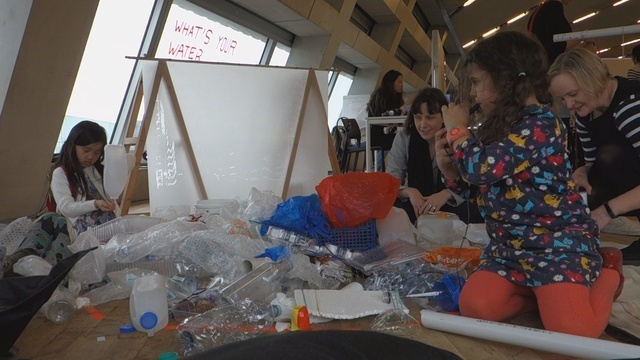 It was the intention of our collaborative group to ‘sound off the issue’ to raise awareness of the necessity to rethink the current overproduction of plastic. 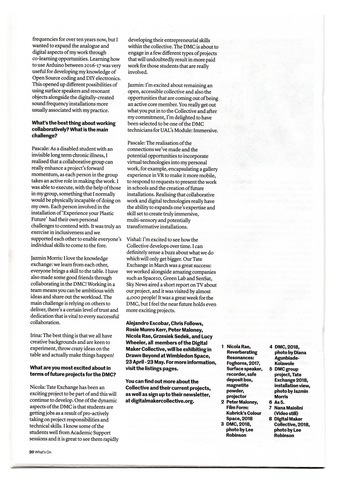 Participative improvisation through amplifying and sonifying re-used objects developed throughout the week in a feedback loop of recycling. 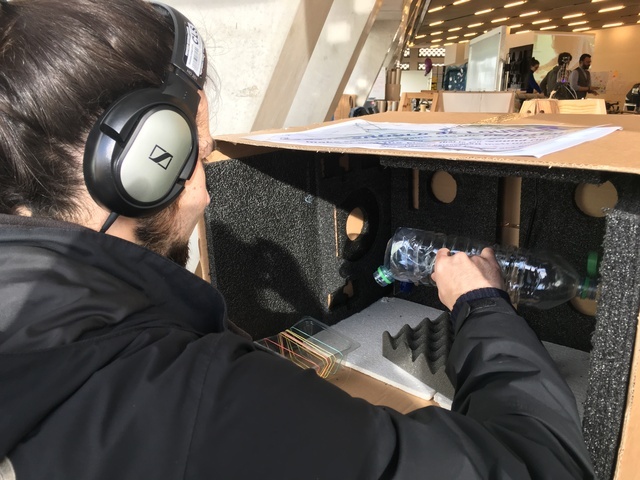 Plastic has many different structures and properties and through using a microphone and headphones, participants listened to the sounds that they produced and developed these through improvisation. 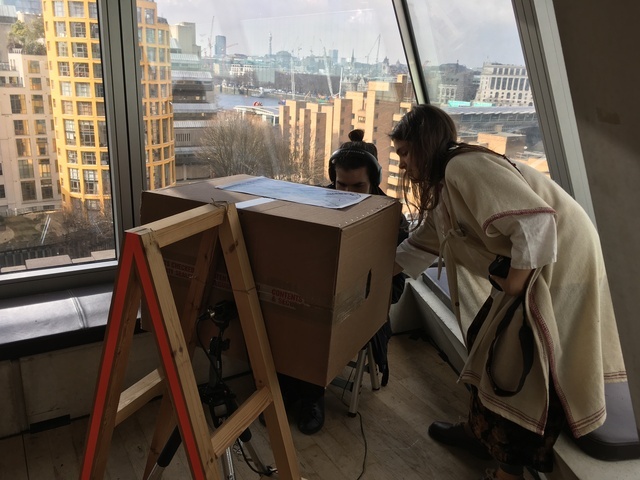 We engaged the public in participative experimentation that included sounding instruments made from discarded plastic containers and objects. 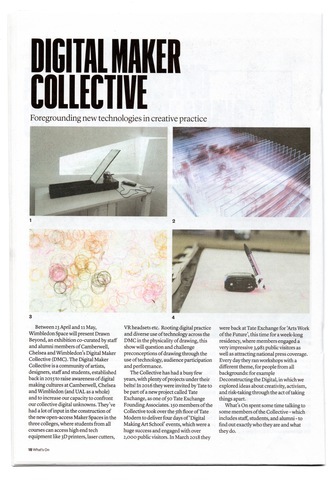 Microphones were placed within or near plastic objects and the sounds made through improvisation were visualised through a sound emission analyzer and then back-projected onto a tracing paper screen. 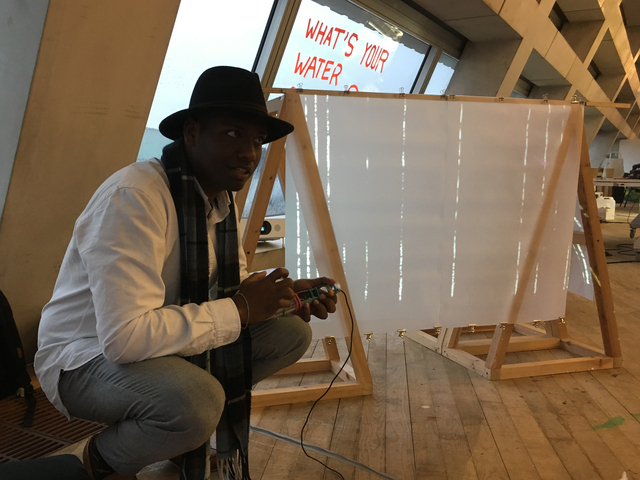 During 2018 the Digital Maker Collective's project at Tate Exchange was called 'Arts Work of the Future' and it engaged 3981 visitors between 6th-11th March. 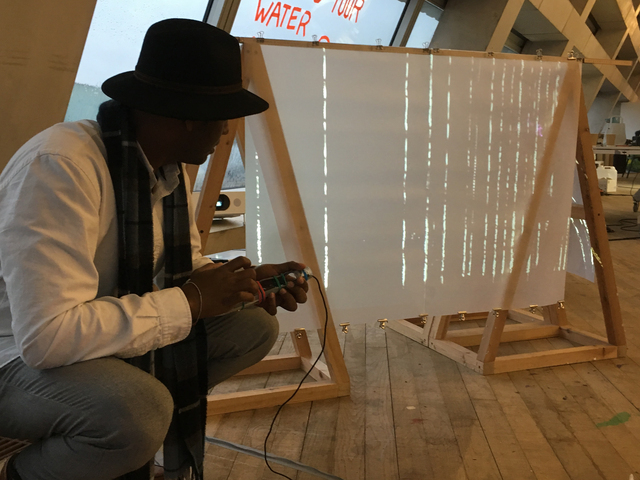 Our 'Sound of Plastic should be Louder' project was part of 'Experiencing Sustainability Issues: exploring micro-plastic pollution through interactive technology' and was located in 'Incubator One: Are Humans Sustainable?'. 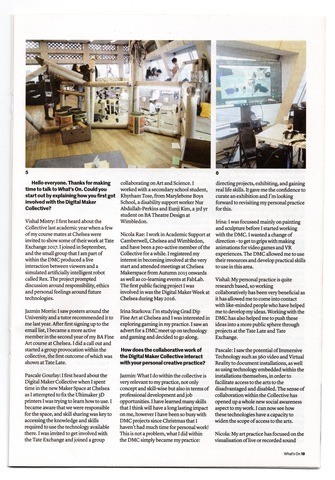 About the Digital Maker Collective: The Digital Maker Collective are a group of artists, designers, staff and students from the University of the Arts London (UAL) who explore emerging digital technologies in arts, education, society and the creative industries. 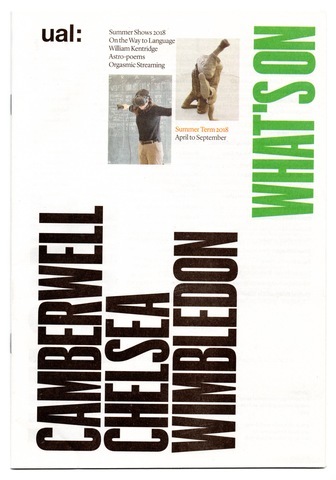 They are supported by Camberwell, Chelsea and Wimbledon Colleges of Art (CCW), UAL.